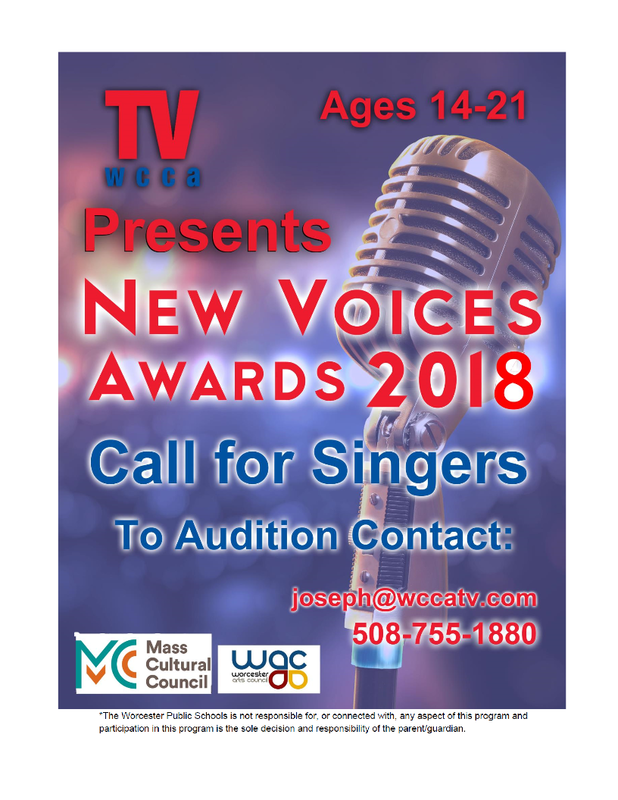 Calling All Young Singers!! 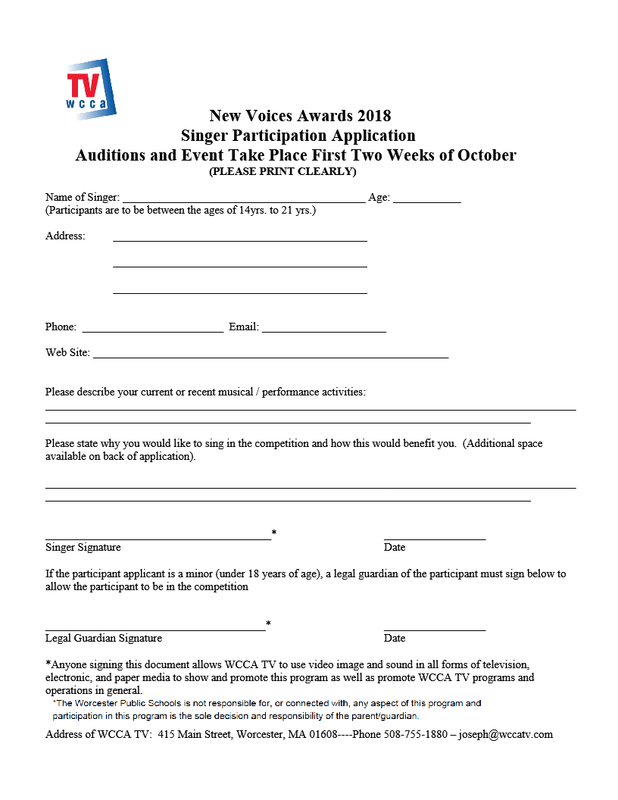 The New Voices Awards Are Back! Register Now While Audition Space is Available! 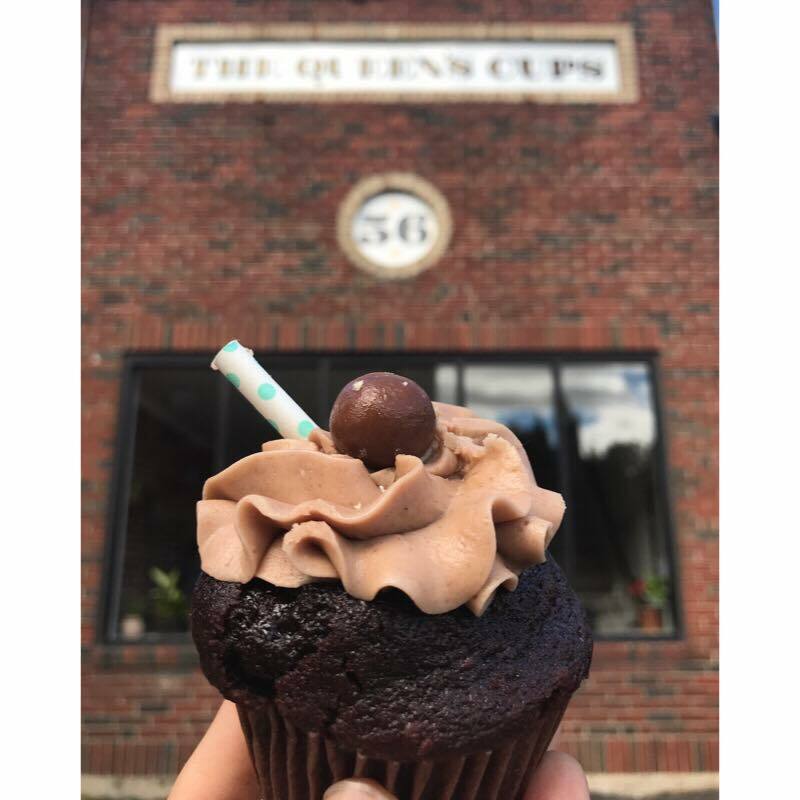 This program is supported in part, by a grant from the Worcester Arts Council, a local agency, which is supported by the Massachusetts Cultural Council, a state agency. This entry was posted in Awards, Community, Events, Joseph, Mailing List, Mauro, News, Public Access, Shows, Tracy, Website, Youth on March 8, 2018 by webmaster. This entry was posted in Awards, Community, Events, Joseph, Mauro, News, Public Access, Shows, Tracy, Website, Youth on February 22, 2018 by webmaster. 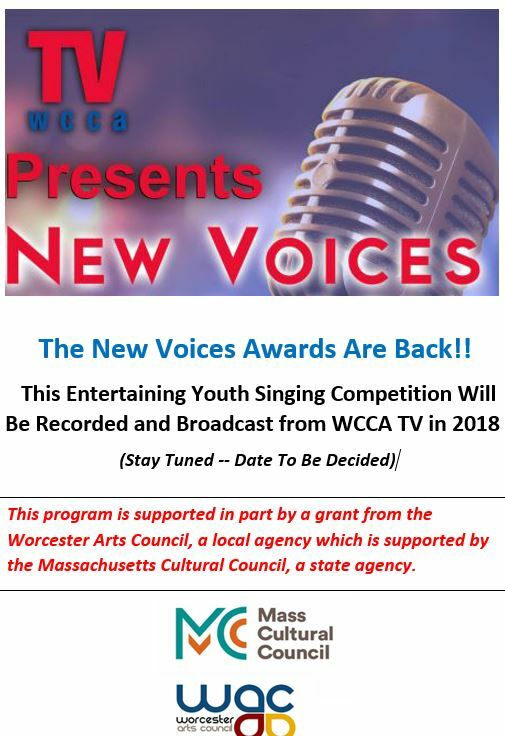 WCCA TV is Very Appreciative That We Have Been Awarded A Worcester Arts Council Grant for New Voices 2018!! Thank You Worcester Arts Council!! 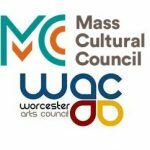 Worcester, MA- City Manager Edward M. Augustus, Jr. and Samantha Fiakofi, chair of the Worcester Arts Council (WAC), have announced the award of 48 grants totaling $114,375 for cultural programs in Worcester. The Worcester Arts Council is part of a network of 329 Local Cultural Councils serving all 351 cities and towns in the Commonwealth. The LCC Program is the largest grassroots cultural funding network in the nation, supporting thousands of community-based projects in the arts, sciences, and humanities every year. The state legislature provides an annual appropriation to the Mass Cultural Council, a state agency, which then allocates a portion of these funds to each community including Worcester. It is through programs like these that give access and assistance to Worcester’s creative community. This year WAC is announcing the recipients of funding for the 2018 grant cycle. Through an in depth selection process, WAC’s volunteer members reviewed numerous applications this fall during a series of meetings conducted to evaluate the overall quality of the proposed programs, their public benefit, viability and whether they met the 2018 local priorities for funding which included : Public Art, Children’s Programing, and Visual Arts. This year WAC will award a total of $114,375 to 48 Worcester area applicants. The 2018 allocation also includes two $5,000 Artist Fellowships, awarded to individuals to assist in the funding of their endeavors in the arts, humanities and interpretative sciences. This year the Worcester Arts Council is proud to award Artist Fellowships to two local artists: James Dye and Jennifer Carey. Decisions about which activities to support are made at the community level by a board of municipally appointed volunteers. The members of the Worcester Arts Council are: Samantha Fiakofi (Chair), Meghan Hardy-Lavoie (Vice-Chair), Jacob Poplaski (Treasurer), Amanda Schall (Secretary), Thomas Conroy, Jose Castillo, Hansani Archibald, Hank Von Hellion. Statewide, more than $3.3 million will be distributed by local cultural councils in 2018. Grants will support an enormous range of grass-roots activities: concerts, exhibitions, radio and video productions, field trips for schoolchildren, after-school youth programs, writing workshops, historical preservation efforts, lectures, First Night celebrations, nature and science education programs for families and town festivals. Nearly half of LCC funds support educational activities for young people. The Worcester Art Council will seek applications again in the fall. For guidelines and complete information on the Worcester Art Council, please contact Lindiana Semidei, Staff Liaison to the Worcester Arts Council at 508-799-1400 x 31414 or by email at SemideiL@Worcesterma.gov. Applications and more information about the Local Cultural Council Program are available online at www.mass-culture.org. Applications are due in October of 2019. This entry was posted in Awards, Community, Events, Joseph, Mailing List, Mauro, News, Public Access, Shows, Tracy, Website, Youth on January 25, 2018 by webmaster. “Early on in my Pediatric Trauma experience I realized that without devoting a significant part of my energy to Prevention I would be relegated to running a MASH unit patching up injured kids and sending them back out to be injured again,” Dr. Hirsh explained. “The methodology of Dr. Barbara Barlow, the Founder and Executive Director of the Injury Free Coalition for Kids gave me the model to mimic and I was on my way. He went on to say this award is a wonderful recognition of that path having yielded some positive impacts. Dr. Hirsh‘s work has established a number of programs that have been instrumental in improving the health and safety of children by preventing injuries both in his communities and in communities across the country as they have been immolated in other places. Among them are: gun buyback programs, teen driving programs, and Safety Street, a Mobile Safety Street program that mobilizes community facades to teach children about safety in their home, on the street and in their community. His commitment and programs have attained national recognition. 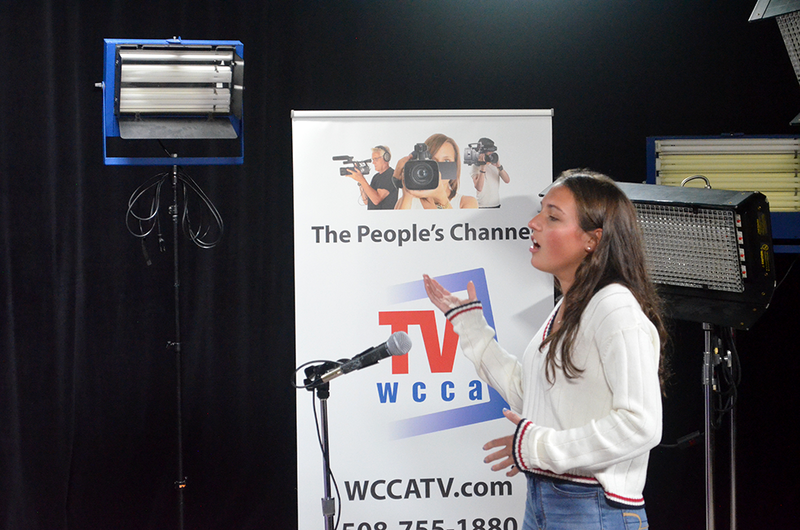 Since 1986, WCCA TV has always been a creative space and a place that has engaged people of all backgrounds in bringing the city to life through creative expression of storytelling, engaging community television, talk programming, music, dance, television journalism, dramatic arts and film/video making, public art and multimedia works, and to exercise free speech. 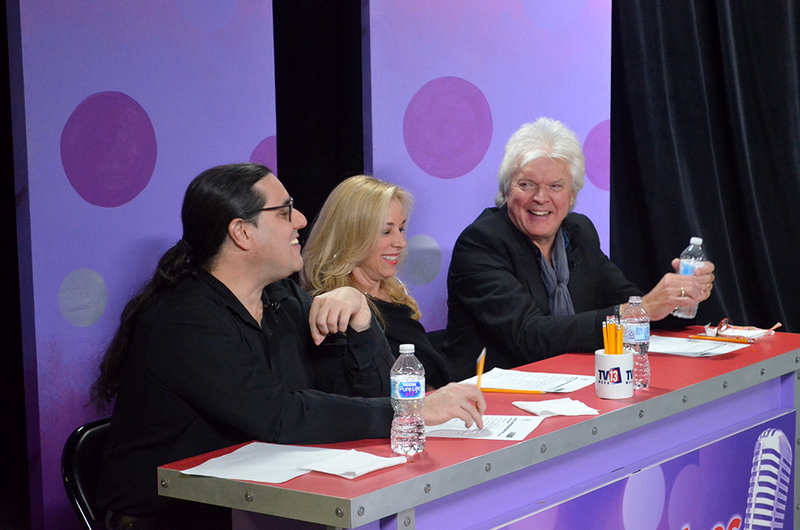 It’s a space for everyone to get engaged in the arts in an active way. 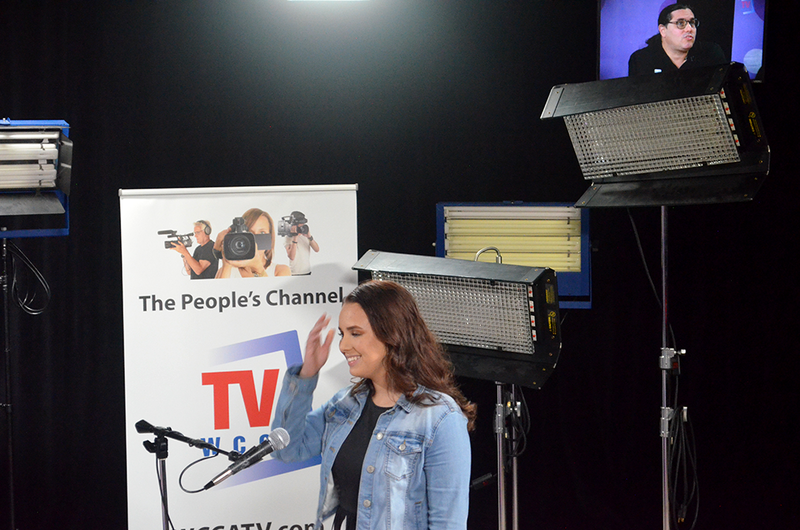 A diversity of thousands of people have attended WCCA educational class and workshops, participated in content creation, our public events. 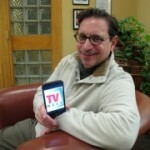 Our programs are seen in Worcester and around the world on line. We have over 6000 videos to the WCCA website Video On Demand library! ALL AVAILABLE FOR FREE ON-DEMAND VIEWING. 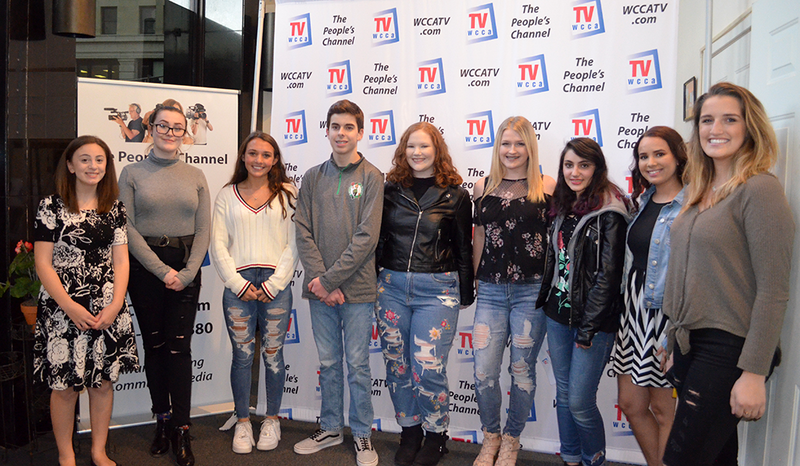 This would not be possible without such an amazing video-prolific community and with the tremendous work and effort of our own WCCA TV Staff of professional video technicians and video production artists. 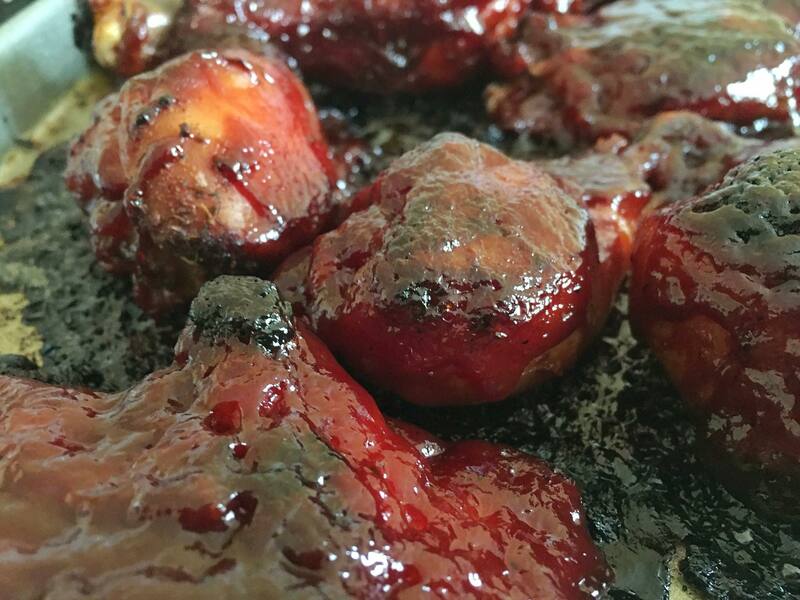 NOTE: This blog may be updated and the views and opinions expressed in the news articles embedded herein are not necessarily those of WCCA TV, its Board of Directors, It’s Staff, or its sponsors and associates. 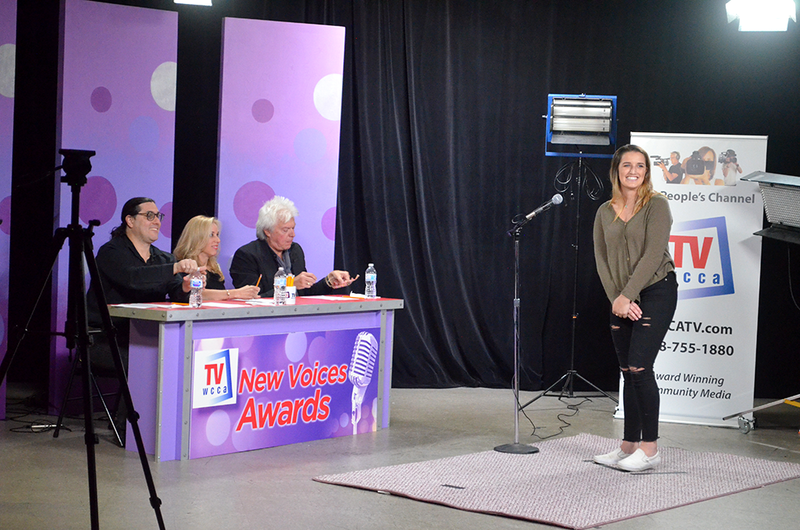 This entry was posted in Awards, Community, Mauro, News and tagged City and neighborhood news, Community Media, Dr Hirsh, Events and Information, fun, Health Matters, Local News, Mauro DePasquale, media democracy, media training and workshops, Public Access, Soapbox, wcca tv, wccatv.com, Worcester Local, Worcester news, Worcester TV on December 11, 2017 by mauro. Her Prize is a $100 Gift Card from Lock 50!! This entry was posted in Awards, Community, Courses, Events, Joseph, Mailing List, Mauro, News, Public Access, Tracy, Website on October 16, 2017 by webmaster.